Advising the State Government, subject to any guidelines issued by the Central Government, on matters relating to the conservation of biodiversity, sustainable use of its components and equitable sharing of the benefits arising out of the utilization of biological resources. Regulating by granting of approvals or otherwise requests for commercial utilization or bio survey and bio utilization of any biological resource by Indians. Performing such other functions as may be necessary to carry out the provisions of this Act as may be prescribed by the State Government. 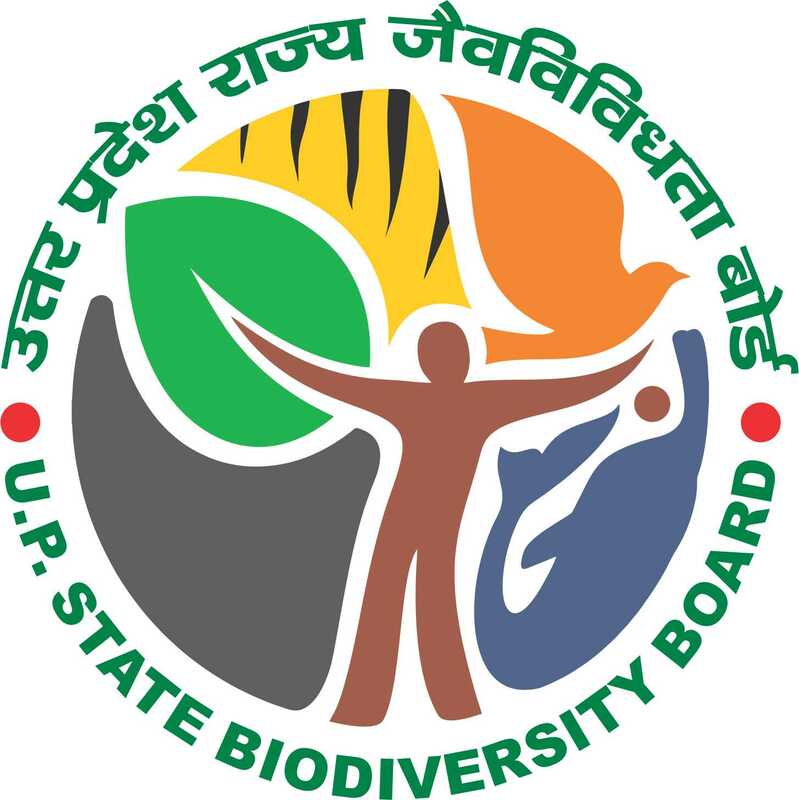 This document provides guidelines for implementation of project proposals supported under the Uttar Pradesh State Biodiversity Board (also referred to as UPSBB). The U.P. State Biodiversity Board reserves the right to review these guidelines and modify them from time to time. The implementing agency will abide by new conditions, if any, imposed by UPSBB from time to time. Central and State Government Research Institutes, Central and State Government Autonomous Research Institutes/Organizations of repute and Central and State Government Universities may apply for grants to the UP State Biodiversity Board for Biodiversity related projects on Biodiversity issues relevant to the State of Uttar Pradesh. Research related activities may cover broad areas of Biodiversity like, Phytobiodiversity, Faunal biodiversity, Aquatic Biodiversity, Agrobiodiversity, horticultural biodiversity and Domestic Biodiversity and Traditional knowledge. The projects will be submitted to the Board office in 10 copies in the prescribed format (Annexure- 1). Once the project is approved, a formal sanction order will be issued. Copies of the sanction order with the terms and conditions/MOU (Annexure-2) annexed to it are sent to the Principal Investigator (PI) / Head of Institution. Any correspondence with the Board regarding the project should invariably quote the sanction order No. and date. Subsequent to the sanction order, the first installment of funds (Fifty Percent of the total Project Cost) for a particular project shall be released to the institution immediately on receipt of the filled and signed MOU (Annexure 2) in the form of a cheque/BD. Payment of the Second (Forty percent of the total Project Cost) will be made after the First Progress Report to the satisfaction of the UPSBB and on submission of Utilization Certificate (UC) of 75% of the first installment. Balance and Final payment: The final payment (Ten Percent of the total Project Cost) will be made after obtaining the Project Completion Report (PCR) to the satisfaction of the UPSBB and Utilization certificate for funds spent till then. Typically short duration projects for a period of 2 years will be preferred. The project becomes operative with effect from the date on which the Draft/ Cheque is received by the implementing Institution. This date should be intimated by the Institution authorities/ Principal Investigator to the Board. It will, in no case be later than one month after the receipt of the draft/ cheque by the Institute. The Principal Investigator (PI) has the primarily responsibility for the implementation of the project. The project team consists of the PI, Co-Investigator(s) and the project personnel as mentioned in the project proposal. It is necessary to ensure that the project is carried out by the project team in a cohesive manner. Periodic meetings of the team are essential for this purpose. In case of PIs who would be superannuating during the duration of the project, association of a “in service” Co-Investigator may be ensured by the Institute authorities. In such cases, the Institute authorities should inform to the Board, well in advance, about their “No Objection” for providing the infrastructural facilities to the PI for implementation of the project after his superannuation. Having accepted the responsibility for the implementation of the project, the PI should be committed to implement the project over its duration and should have no plans to go on long leave. In case, the PI is shifting to another institution on new appointment/transfer/long term deputation, the project could be transferred to that institution with the mutual consent of both the institutions and of the U.P. State Biodiversity Board. Such requests for transfer of the project should be sent well in advance and should be accompanied with ‘No Objection’ certificates from both the institutions and the Endorsement Certificate from the new institution. In case the PI leaves the project due to unforeseen circumstances, the Co-Investigator could be considered as the PI subject to the approval of the PI, Head of the Institute and the Board. Such a request should be sent at least 4-6 months in advance along with a detailed bio-data of the Co-Investigator. The PI as well as the implementing institution has the responsibility of informing the Board about any change in the status of the PI/ Co-Investigator including relieving them on short term deputation for a continuous period of 3 months or more. The project stands terminated in the absence of the PI/ Co-Investigator for a continuous period of 3 months without intimation to the Board. The implementing institution has an important role to play and in consultation with the Board take steps to ensure successful completion of the project, before relieving the PI. The implementing Institute/University shall provide full infrastructural facilities such as accommodation, water, electricity, and communication facilities etc. for smooth implementation of the project. i) All the personnel including research personnel appointed under the project, for the full/ part duration of the project, are to be treated as temporary employees and will be governed by the Administrative rules/ service conditions of the implementing Institute/Organization. No reference on these issues will be made to the Board. The Board will have no liability, whatsoever, for the project staff during and after completion of the project duration. ii) In case of recruitment of JRF/SRF, candidates who have been declared successful at NET/GATE may be preferred. In other cases, candidates without NET/GATE may be recruited through a proper selection procedure. It is desirable to have U.P. State Biodiversity Board nominee in the selection process. The local institution should review the performance of the fellow after two years through an appropriate Review Committee constituted by the Head of Institution. The fellowship in the slab after 2 years of research experience may be provided after successful assessment by this review Committee. The Board will require the certificate from the Head of the Institution for the above. Research Associates (RA’s) : Research Associates may be fixed a consolidated amount at one of the 3 level’s given below, depending upon the qualifications and experience. The Institute/ Organization concerned may decided the level in which a particular associate should be placed based on the experience. JRF’s, SRF’s and Research Associate will not be entitled to DA, CCA, Bonus & LTC, Retirement Benefits. All Research Fellows may be provided Hostel accommodation wherever available and those residing in accommodation provided by the institute will not be eligible for drawing HRA. HRA may be allowed as per institution rule. Leave and other entitlements: The JRR/SRF are eligible only for casual leave while Research Associates are entitled to leave as per rules of the host institution. Maternity leave as per Govt. of India instructions issued from time to time would be available to female candidates in all categories. On approval of the project by the Board, the first installment of grant for the project will be released. Diversion of funds from non-recurring head i.e. Equipment to recurring head like Manpower, Consumable etc. is normally not allowed. However, reallocation/reappropriation of grants under different heads requires prior approval of the Secretary, UP State Biodiversity Board. The Equipment sanctioned on the project should be procured at the earliest to avoid any cost escalation. The PI and the implementing Institute should complete all formalities in advance for placing the order. The subsequent installment of grant would be released annually on the basis of expenditure incurred in the previous financial year and expected expenditure in that year. Annual Progress Report, if not sent earlier. The institute/institution will maintain separate audited accounts for the project. If it is found expedient to keep a part or whole of the grant in a bank account earning interest, the interest thus earned should be reported to the U.P. State Biodiversity Board and should be reflected in the Statement of Expenditure. The interest thus earned will be treated as a credit to the Institute to be adjusted towards further installment of grant. The grant shall not be utilized for construction of any building unless specific provision is made for that purpose. In case the Institute is not in a position to implement or complete the project, it should, forthwith, refund to the Board the entire grant received by it. All the assets acquired from the grant will be the property of U.P. State Biodiversity Board and should not be disposed off or encumbered or utilized for purpose other than those for which the grant had been sanctioned, without the prior sanction of the Board. Any instrument purchased out of the present project should be returned to the U.P. State Biodiversity Board after completion of the project. The UP State Biodiversity Board reserves the right to terminate the project at any stage if it is convinced that the grant has not been properly utilized or appropriate progress is not being made. At the end of the project, any un-spent balance out of the total amount sanctioned must be surrendered to the U.P. State Biodiversity Board through a crossed Cheque/ Demand Draft drawn in favour of Secretary, Uttar Pradesh State Biodiversity Board, Lucknow. The Institute/ PI will furnish a Half Yearly and Annual Progress Report of the work on the project in addition to the Project Completion Report (PCR). The contingent in the project may vary depending on the project and may be used to cover special consumables required for research/work. No expenditure is to be incurred for purchasing vehicles like car and jeep. The total amount of contingency may not exceed 10% to the total project cost. Demand for additional fund: Under normal circumstances no additional funds for the project will be allowed.The proposal for additional grants in the project should be made in the prescribed proforma. The projects will be submitted in 10 copies in the prescribed format (Annexure- 1). The projects received will be screened by the Project Appraisal Committee of the Board. The Project Appraisal Committee will be formed by the approval of the Chairman of the Board. The Appraisal Committee may invite expert members in the field as external referees from time to time. External referees shall be paid an honorarium as per Board norms. The Project Appraisal Committee will screen the projects submitted and screened projects will be placed before the Board. The final approval for the project will be given by the Board. Once the project is sanctioned by Board a memorandum of undertaking (MOU) will be signed between the U.P. State Biodiversity Board and the Institution concerned as per format (Annexure-2) within 3 weeks of sanction of the project. For this the Board shall send a copy of the MOU, along with the sanction letter and request the Institution to return the same duly filled in and signed, within the time prescribed above. The first installment of funds for a particular scheme shall be released to the institution immediately on receipt of the filled and signed MOU. Subsequent releases shall be made on specific recommendation of the Project Approval Committee about the satisfactory performance of the Project based on submission of Half yearly and Annual reports. The PI through the implementing Institute will submit to the Board 5 copies of Half Yearly Progress Report six months after the start of the project (Annexure-4) and thereafter submit 15 copies of the Annual Progress Report of the work carried on the project. Release of funds will be withheld in the event of non-receipt of reports in time or unsatisfactory progress of the work. The Project Appraisal Committee of the Board shall review regularly the progress of the project. The Half Yearly Progress Report and the Annual Progress Report (APR) will be reviewed by the Project Appraisal Committee of the Board and if deemed necessary the Board will designate a Scientist/Specialist or an expert panel to review the progress of the project (Annexure 5). The Annual Report shall be presented to the Board also. The definite recommendations made for improving the work, at the level of Board shall be communicated to the Principal Investigator for immediate compliance. In addition, the Board may designate Scientist/ Specialist/Panel or an Officer from the Board to periodically to review the progress of the work being carried out and to suggest suitable measures to ensure realization of the objectives of the project. The implementing institute will provide all facilities to the visiting Scientist/ Specialist/Panel or an Officer from the Board by the way of accommodation etc. at the time of their visit. The Board also organizes Monitoring Workshops/ PAC meetings wherein the PIs/ Co-PIs and research staff are invited to present the technical progress of their project. The Investigators should attend such workshops since it provides an opportunity to review their progress based on which any mid term requests by the PIs for additional grants/ extension in duration etc. are considered by the Board. Subsequent releases of grant would be based on the Project Appraisal Committee’s recommendations. Consolidated audited Statement of Expenditure (SE) (Annexure- 9) and Utilization Certificates (UC) (Annexure-8); and Final Statement of Expenditure (FSE) (Annexure-10). DD/Cheque for any un-spent amount with the Institute/Organization. The salient findings/outcome of the project shall be presented in the Board Meeting. Investigators/ RA’s wishing to publish technical/ scientific/other papers based on the research work done under the project should acknowledge the assistance received from UP State Biodiversity Board, indicating the project. The fact of receipt of assistance taken from UP State Biodiversity Board should be suitably acknowledged in the published material. Similar action should be taken in respect of the thesis submitted by a Research Assistant. If the results of research are to be legally protected, the results should not be published without action being taken to secure legal protection for the research results. No Investigator shall make commercial use of the results of work of the project either by patent or otherwise. The UPSBB reserve the exclusive right to determine, after consultation with the Institute/ Investigator or any other person whom the UPSBB may deem fit, whether any patent shall be taken out and what commercial use, if any, shall be made of any results of the investigations. The patent, if any, shall be in the name of the U.P. State Biodiversity Board, Lucknow and UPSBB shall retain exclusive right to commercially exploit the process. The shares, if any, of the royalty to, the Investigator/ University/ Institute providing facilities, in the U.P. State Biodiversity Board, Lucknow, will be determined by the UPSBB.